Vancouver’s original IntraUrban business park. 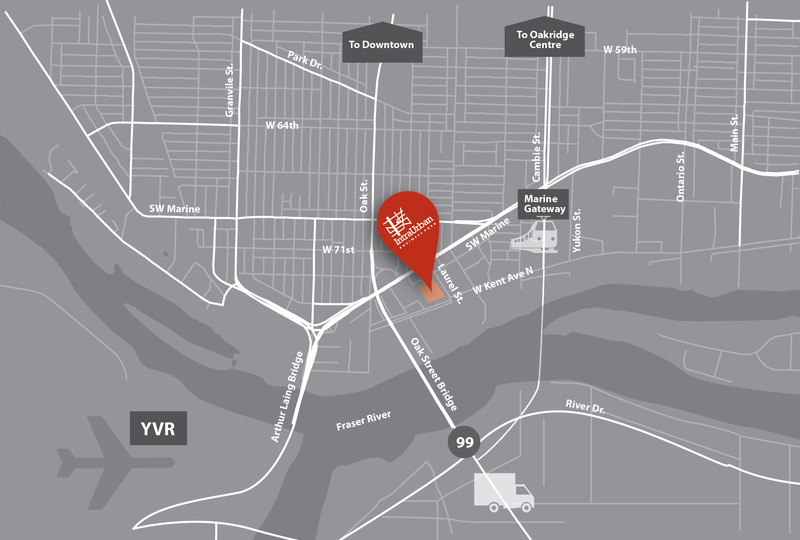 For small and medium sized companies that want to own a place of business in Vancouver, this centrally located commercial site at 8811 Laurel Street, offers unequalled access, long-term vision and a prime location. IntraUrban Business Park is next generation industrial strata, designed around the needs of modern business. Marpole. A community with industrial roots and an urban future. In the last 5 years, the area bordered by Granville, Boundary and the Fraser River has seen extraordinary development. It is destined to evolve even further, as South Vancouver is one of the last areas with room to grow in the mature Vancouver market. Imagine owning your own place of business here. It’s a Vancouver location that has it all: transportation, transit, highway access, street frontage, and the new Marine Gateway community hub, all within walking distance. Explore your new business world. The Marpole area is home to a growing number of businesses, services and access options. Many industrial parks are located where land is plentiful, but access and services are not. IntraUrban Business Park is a quick drive from downtown, walking distance from rapid transit, right across the bridge from the airport and mere blocks from the on-ramp to Highway 99. 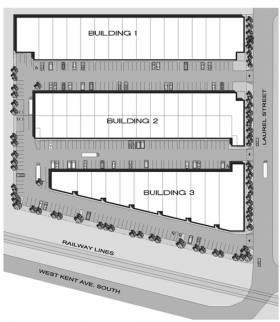 A major retail and residential hub is under construction at Marine Drive and Cambie streets. You’re even next to a bike path. From employee satisfaction to customer convenience to exceptional value, it just makes good business investment sense. Smart design. Flexible space. All yours. IntraUrban Business Park consists of three buildings with a range of unit options from 1200 +/- sq. ft. to 3200 +/- sq. ft. Architecturally designed with high quality construction specifications, these prime spaces offer street exposure, mezzanine office space and the ability for showroom retail. It’s smart space for smart businesses. Owning real estate is a good long-term strategy. While residential development has boomed, the supply of commercial strata property in Vancouver has been almost nonexistent. Strong demand is expected to continue among business owners who recognize the value of building their equity. Why pay someone else’s mortgage when you can invest in the best asset your business can own? What do real IntraUrban owners have to say? PC Urban Properties Corp. Imagine what a city could be if every property found its true purpose. The urban landscape is a living, breathing synthesis of history, growth and opportunity. To succeed here, you have to see what others don’t. At PC Urban we are inspired by unrealized potential in commercial, industrial and residential properties. We thrive on urban development and creating extraordinary value. We call this process re-imagination, and it’s key to our mission: to bring every urban property to its true purpose. For more information on IntraUrban Business Parks and Property Re-imagined™, please give us a call.